The map below shows NatureMapr reports across the south-east region for 2018. 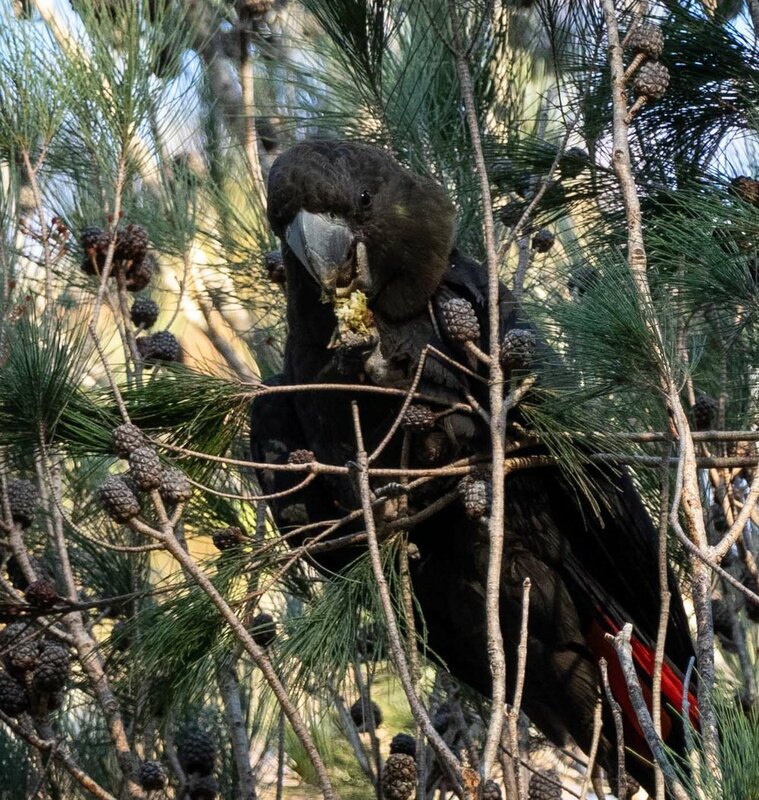 Are there Glossy Black-Cockatoos in your area? The Atlas of Life, in conjunction with Canberra Nature Map and the OEH, launched the Mapping Glossy Black project in June this year. This is an ongoing project, building a picture of the distribution of this threatened species. These photos, taken today, show a group of 5-6 Glossies feeding in a tall Allocasuarina littoralis. Photos: Wonboyn (south of Eden), 24/7/18. 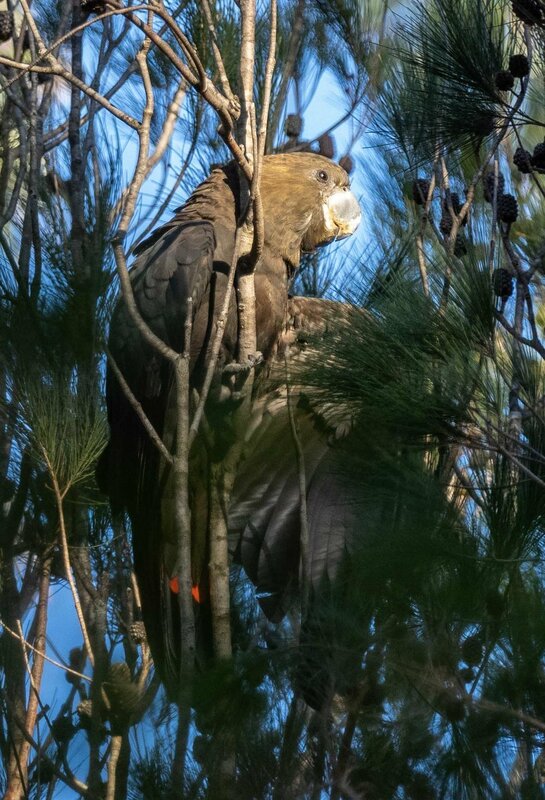 Click for sighting details on NatureMapr.